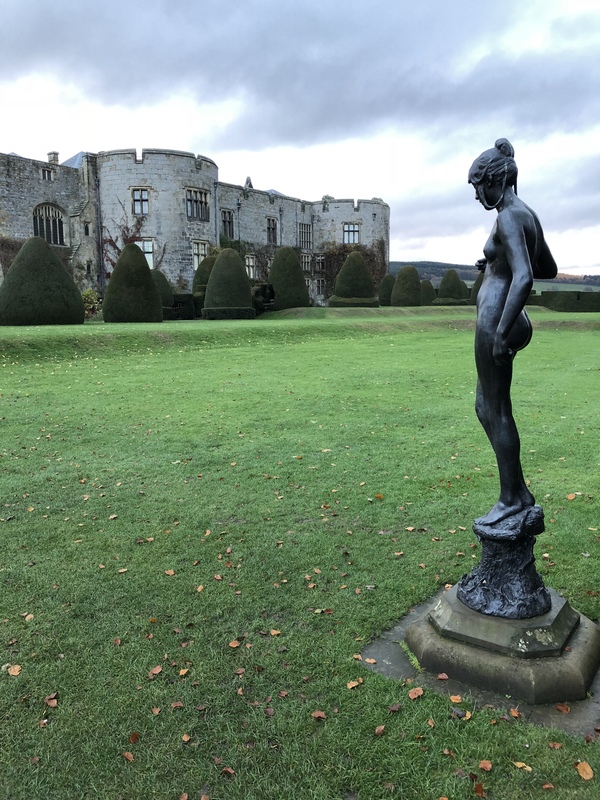 Close to the aquaduct in Chirk (see other blogpost) is Chirk Castle, an old building that used to be one of the strongholds defending Wales. Now it belongs to the National Trust, which restores, and maintains ancient buildings for the sake of the general public in the UK. The castle itself is not really worth a long visit. You get to see some of the medieval rooms in a small part of the building that is open to the public. Those rooms are similar to other castles all around Europe – if you have seen one, you have seen many of them. The park and the view are marvelous though, and the silence out there is very relaxing. If you happen to be around, pass by, get into the park, and enjoy the view. The castle is on a hill, that is surrounded by other (higher) hills, on one side. On the other side there is long slow slope into England. That’s why the sounds of the roads surrounding Chirk and Wrexham are not getting to the castle and the park. Enjoy the view.